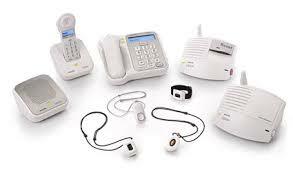 24 Hour Home Care is now a partner with Philips Lifeline medical alert system. Philips Lifeline the leading medical alert system that is saving and improving countless lives of American seniors. All Philips Lifeline medical alert systems are easy-to-wear and have access to live, U.S.-based response center associates 24 hours a day, 7 days a week. The state-of-the-art sensors boast the highest detection rate of true falls and have the ability to call multiple contacts. The alert systems of the GoSafe package allow seniors to be active outdoors around the house or even on vacation! The medication dispensing service helps seniors take the correct medications at the right time of the day. All Philips Lifeline systems will help your loved one continue to live at home independently and will give you peace of mind knowing that help is just a push of a button away. To find out more information or to order any of the Philips Lifeline products, please click here to take advantage of free installation, a $50 value!